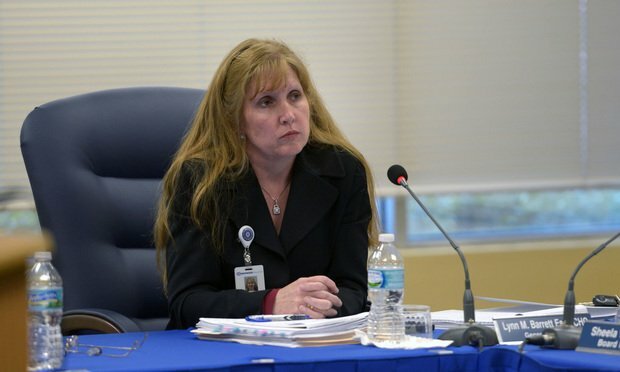 Broward Health general council Lynn Barrett as North Broward Hospital District holds a special board meeting, Feb. 10, 2016, to discuss pending investigations. Photo: Michael Laughlin/South Florida Sun Sentinel. The former general counsel at a South Florida public hospital system was cleared Monday of alleged criminal violations of the state’s Sunshine Law.